Sometimes we just can’t keep up with our obligations. Certainly, a layoff or divorce can wreak havoc with our finances and sense of well-being. For many, even an unexpected repair bill or medical emergency will stretch an already thin budget to the breaking point. When we're talking about student loans, how we're behind can have a profound effect on the remedies available to us. That's why it's important to know the difference between delinquency and default. The federal government has given student loan lenders certain special collection powers to deal with loans that are not being timely paid. The methods available to lenders depend on the type of loan and whether the borrower is merely delinquent or whether the loan has gone into a more serious state of default. If a borrower fails to pay the loan by its monthly due date, the borrower is considered to be delinquent. 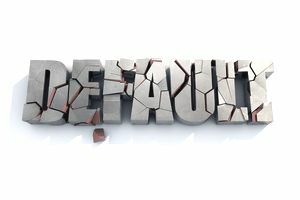 If the delinquency continues, and the loan becomes past due 270 days, the loan is considered to be in default. Most student loans give the borrower a 15-day grace period after the due date before any late fees are charged. During that time, the lender (or servicer) must send a delinquency letter to the borrower. The lender (or servicer) may also make telephone calls to the borrower during this time. The lender or servicer must also inform the borrower of the availability of the Department of Education Student Loan Ombudsman. The Ombudsman’s Office can help borrowers resolve issues with the lender or help identify ways the borrower can resolve the delinquency or default. If the delinquency continues and the borrower fails to make a payment, the loan is considered to be in default after 270 days. At that point, the entire balance becomes due. It is theoretically possible to avoid default status by making at least some sort of payment before the 270-day period has passed. Ordinarily, the lenders would have to obtain a court order to accomplish many of these collection actions, but federal law allows a student loan lender, servicer or collection agency to do these things without the added layer of protection a court of law would provide a borrower. Federal Loans: There is no statute of limitations for collection of federal student loans. They never expire and the lender can pursue collection until the borrower’s death. Private Loans: The same is not true for private student loans. The time limit for taking these kinds of actions on private loans generally depends on the statute of limitations for the state in which the borrower resides. Usually, the statute of limitations will run four to six years after the last payment or after the loan goes into default. Beware: even after a private lender can no longer sue or garnish wages, the lender can still hound borrowers for the money. If you find yourself in a collection with your lender or your loan servicer, it is important that you understand that you still have rights and options, despite the lender’s extraordinary collection powers.